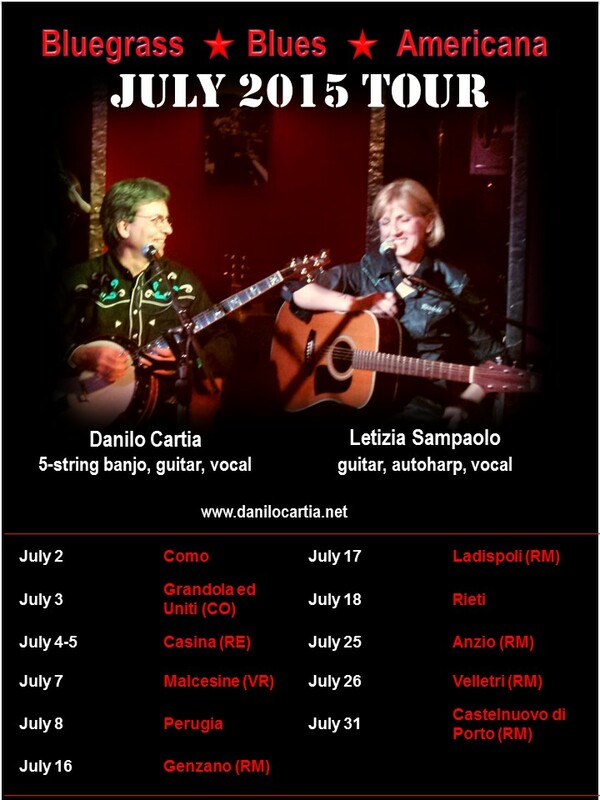 The featured artist on the current edition of Bluegrass Europe - Danilo Cartia - will be performing with Letizia Sampaolo throughout July starting tomorrow with a mini-tour of Northern Italy. 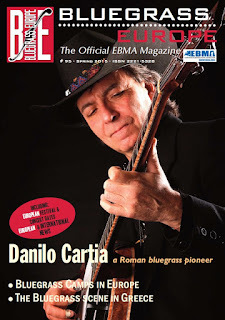 As Danilo said in the interview in Bluegrass Europe, the concerts are likely to be a mixture of bluegrass, Americana, country blues and original compositions. 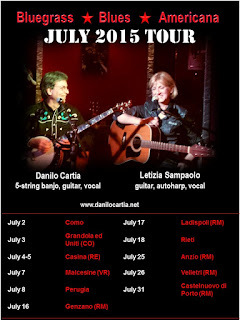 Don't miss this opportunity to see Danilo and Letizia play.